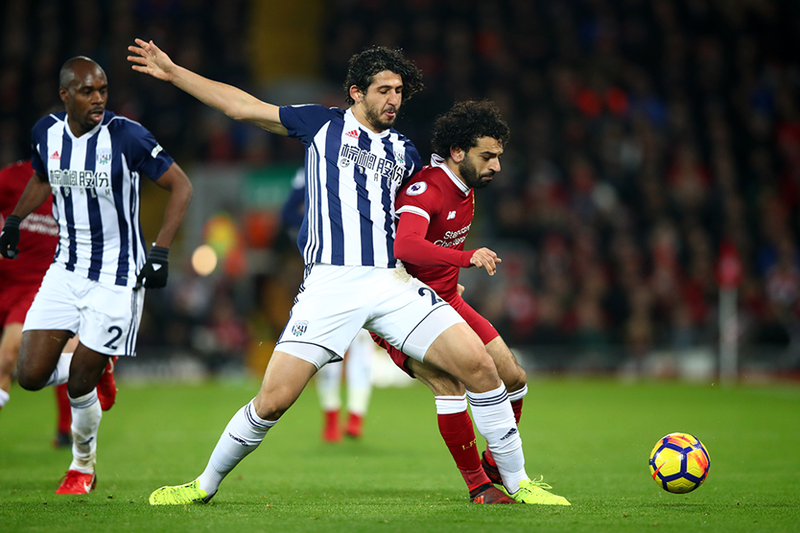 One West Bromwich Albion player who will play a key role in ensuring Mohamed Salah does not run amok when Liverpool travel to The Hawthorns is a fellow Egyptian. The 6ft 3in (1.91m) centre-back was in commanding form in West Brom’s outstanding 1-0 win at Manchester United last Sunday. Hegazi made an incredible 16 clearances at Old Trafford. But this is just a continuation of his form this season, where he has led the Baggies defence and is in the top 10 in the Premier League for some defensive metrics. Playing as the left-sided central defender, it will be Hegazi’s responsibility on Saturday to spot Salah’s trademark bursts into the area from the right. Hegazi is adept at reading the game, so must dominate the penalty area to snuff out Liverpool’s attacks. West Brom drew 0-0 at Anfield in the league and knocked Liverpool out of the FA Cup, so will feel capable of another positive result. If McClean and Hegazi perform as well as they did last Sunday, it will boost their chances of another shock.